I love canvas art and have been dying to make a piece of it for myself. 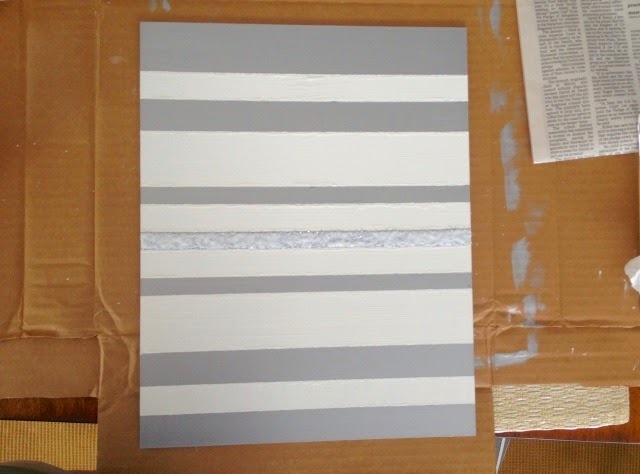 When ScotchBlueTM Painter's Tape offered to send over samples to do a project I knew that I had to create a striped canvas for my new room! 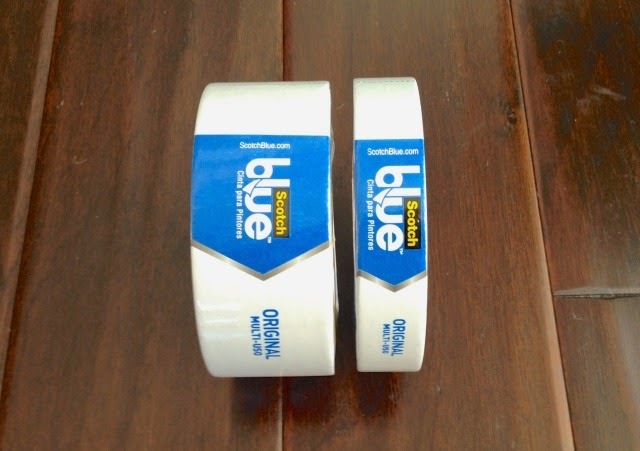 I had only ever worked with the .94" ScotchBlueTM Painter's Tape and did not know that it came in different sizes, needless to say I was very excited when I received the tape in two different sizes. 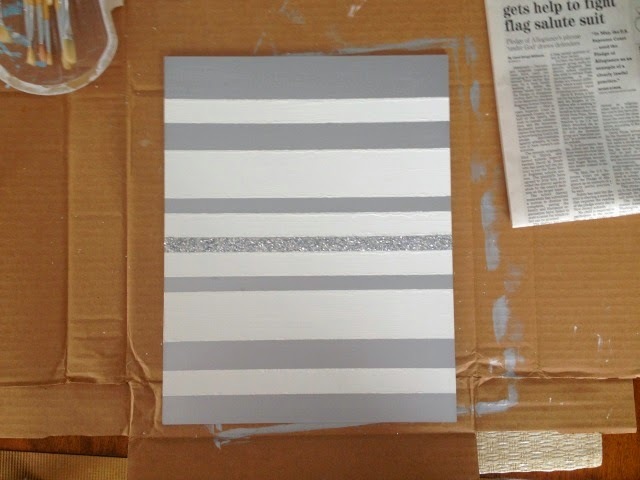 This helped me to further develop the idea of my canvas and gave me the idea to do different sized stripes which I love! 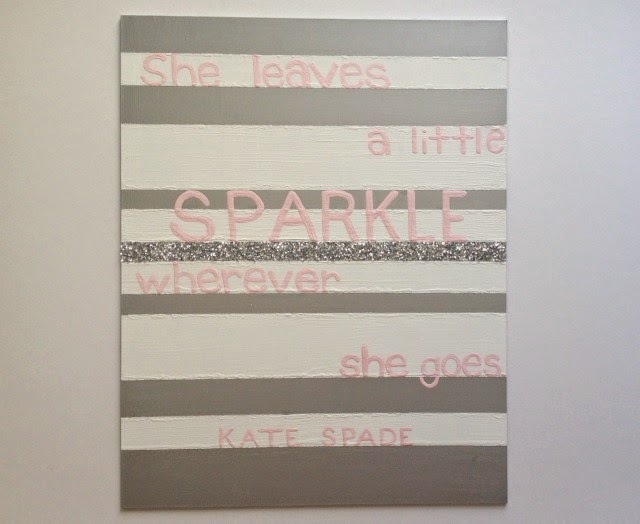 I then decided to add a cute girly quote because it was the perfect way to complete my project (not to mention the stripes made for the perfect lines to write on!). 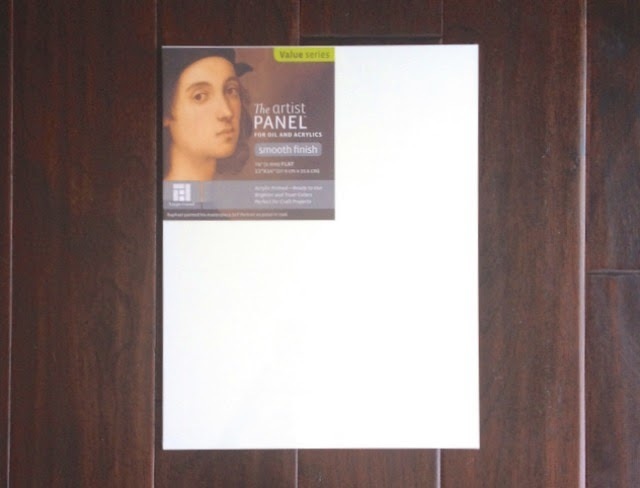 The great thing about canvas art is that it can be used for a variety of different things and is super versatile. It's great for home decor, college dorm rooms, and makes for beautiful sorority presents, which is perfect since many schools are finishing recruitment, going through it, or have rush coming up (hint hint future bigs!). 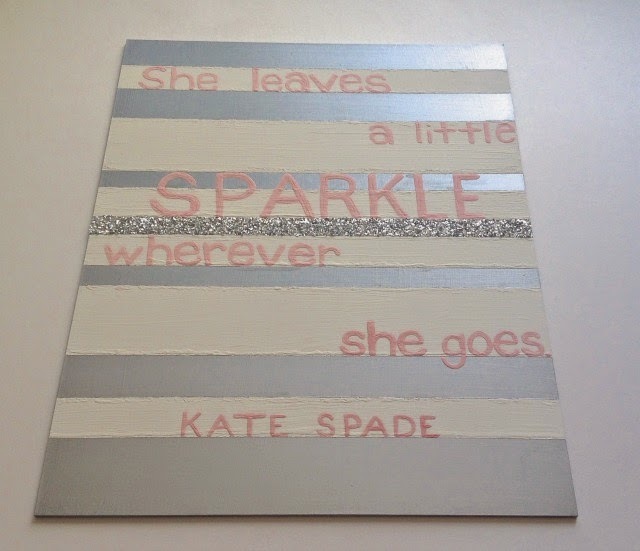 The thing that I loved about the project that I have created with the ScotchBlueTM Painter's Tape is that it can be done with any color paint, glitter, and quote, allowing it to be customized for the person who is making it or it is being made for. For example if it is a sorority present you can use your sorority colors along with a sorority quote or if it is for a house warming gift you can paint it to match someone's living room along with a quote about family just to give a few different ideas! -ScotchBlueTM Painter's Tape in .94"
-ScotchBlueTM Painter's Tape in 1.88"
-Use a pencil and ruler to mark where you want the tape. I began by measuring 1" from the top and marking that on either side of the canvas (so the lines will be even), then putting a piece of .94" ScotchBlueTM Painter's Tape. I then measured 1" inch from the piece of tape I placed, marked again and placed another piece of 1.88" ScotchBlueTM Painter's Tape. Continue this all the way down, alternating the measurements between the tape and the size of the tape you are using. 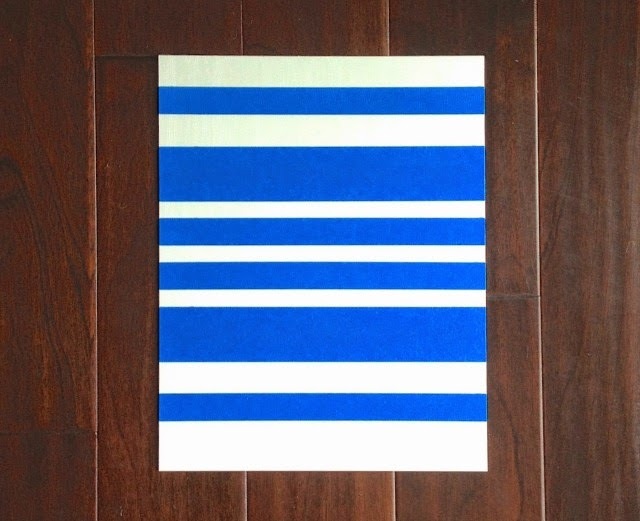 -When you have added all the ScotchBlueTM Painter's Tape you would like to the canvas make sure you press down the edges really well so you do not have any bleeding under the tape. 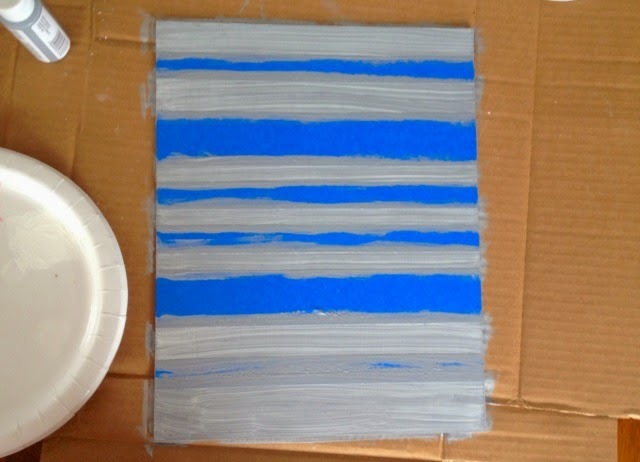 -Paint the spaces between the tape with silver paint. I did 5 coats to get a very solid metallic look and used a sponge brush to paint on the silver (a paint brush will leave brush strokes). 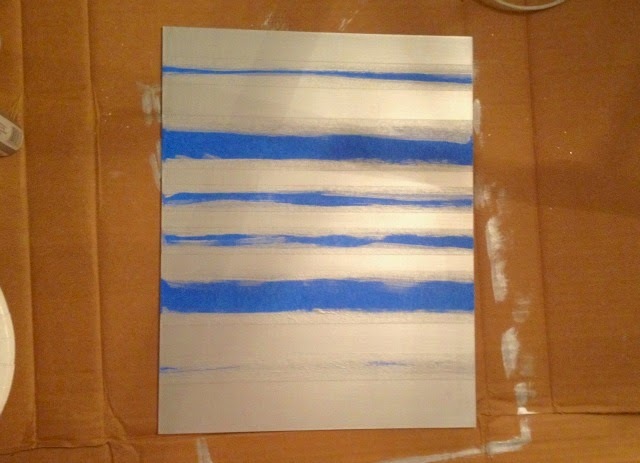 -Choose one of the stripes in the center of the canvas and only do one coat of paint on it. -Allow the silver paint to completely dry. 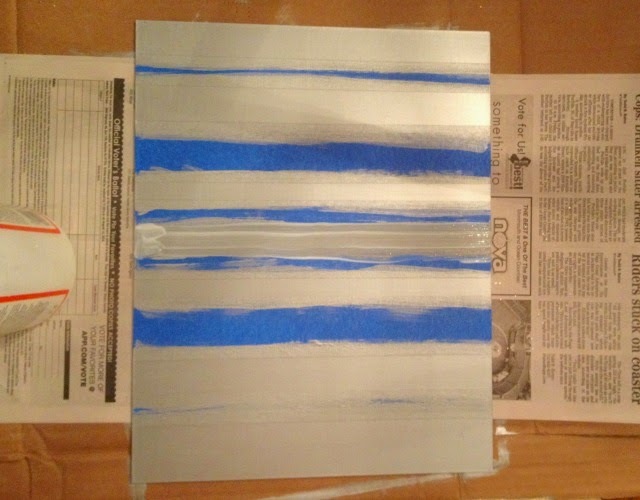 -Apply Mod Podge to the stripe in the center that you only applied one coat of paint to. While the Mod Podge is still wet sprinkle glitter over it. -Allow the Mod Podge to dry for 15-30 minutes (or longer if you would like). -Pick a quote (I found mine on Pinterest!) 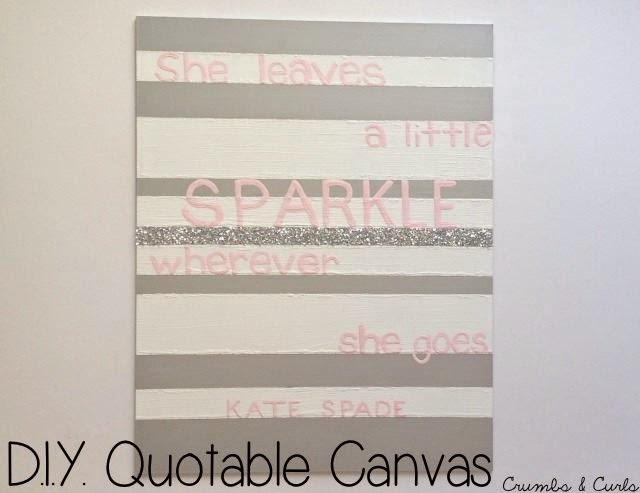 and use a thin paintbrush to paint it onto the canvas with pink paint. Allow to dry. When it is completely dry you are all set to hang it on the wall, or give it as a gift! Mine is going on the wall in my bedroom and I cannot wait to see it in there. 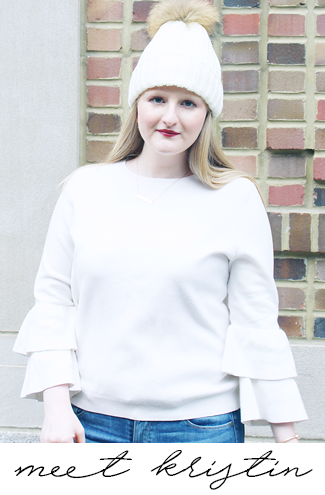 Today I'm linking up with What You Wish Wednesday, I Feel Pretty, Mid Week Muse, and Random Wednesday. 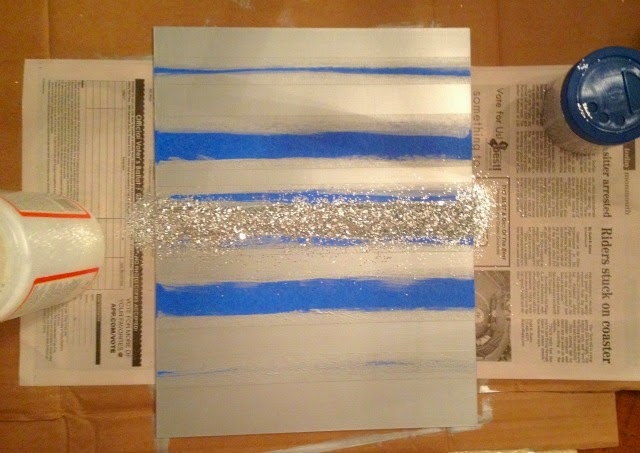 Love that one glitter stripe, it makes the whole thing pop! Gorgeous and looks fairly simple to do. I love it. love love! what's your secret for getting the quote so clean? ADORABLE canvas. Great color combo...great quote! !